Good food prepares us, recharges us, and connects us with our family, friends and a community. Bishop is the “small town with a big backyard” and it also has a pretty impressive kitchen. Actually we have lots of kitchens and they belong to the many excellent restaurants in and around town. 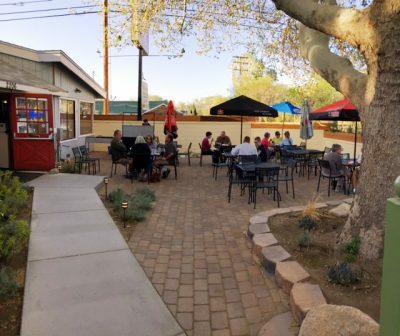 Whether you’re a connoisseur or just plain hungry there’s a world of good food here with a variety and quality that’s a delicious complement to our beautiful backyard. Residents are, not surprisingly, quite proud of the culinary prowess of our local restaurateurs and patronize the many fine establishments with great gusto. Guests of our lovely little town will find themselves spoiled for choice and frequent visitors can sample something delightful and different each time. A good many of the restaurants unique to Bishop are owned and operated by local residents who attempt to source as much organic and locally produced ingredients as possible. Dishes are often made from scratch with house-made sauces and freshly baked breads. Local eggs are a feature in some of the smaller locales. We all have our favorites. Foods we eat more of, places we go to more often. I certainly do, but to make a fanfare of our food I’ve put together a (not-exhaustive) list of restaurants and a little literary taste of what makes each unique. To be fair to the fare it’s compiled in alphabetical order and, to showcase our international flair, I’ve arranged the classifications in descending order. That puts American, the largest category, last. To round it off, like any good meal, I’ve included a soupcon of sweets and treats plus a short course on nightlife. 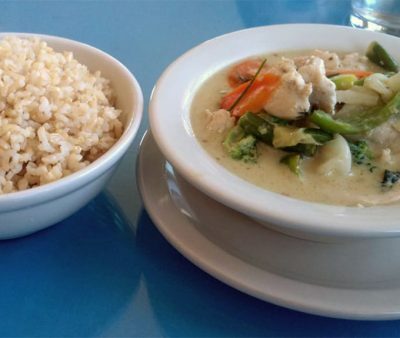 The food of Thailand is about a delicate and intricate mix of flavors. It is as much about presentation as it is about preparation. It is neither simple nor subtle. It is often spicy and can contain as many as four or five disparate elements to create a balanced finish. The use of ingredients that have medicinal properties is also important in this style cooking. It is said to be one of the most popular cuisines in the world. Savor authentic Thai dishes and enjoy the expansive view of the White Mountains from across the runway at the Bishop Airport. The food and the view are both truly sublime. This is probably the original fusion food. It has been centuries in the making. Ingredients and styles from early European settlers, primarily Spanish, influenced the indigenous Mesoamerican cooking. Europeans introduced cheese and meat from domesticated stock and the cuisine also had influences from Africa and Asia. Despite the introduction of wheat and rice the basic staple starch remains corn. Chile peppers give the cuisine its reputation for being spicy, but it is more complex than simply heat – it is also about the subtlety of the chile flavors. Other traditional ingredients in Mexican dishes include beans, tomatoes, avocado and fruits. All the great Tex-Mex style dishes you’d expect served to eat in or take out. Try their unique, creative enchilada specialties. A family owned and run restaurant with a great selection of Spanish wines. The newly remodeled patio where tacos are cooked outside on ‘Street Taco Tuesday’ is a great place for dining al-fresco. Set up diner-style with large booths this family-run operation is family friendly. An extensive menu of homemade dishes is a crowd pleaser and there are vegetarian and vegan options to boot. This spot boasts a restaurant and bar and the Mango Margarita comes highly recommended. The chile relleno with or without shrimp gets good reviews, as does the marinated chicken salad. It’s a good spot for good Mexican food. 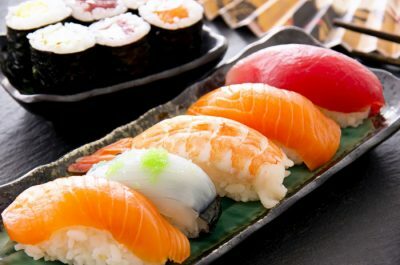 Traditional Japanese food has a basis of rice and miso soup served with other dishes that commonly include vegetables and seafood. Each dish is served on its own small plate or bowl – a practice still done in the home. Noodles are an alternative to rice and can be served hot or cold. Seafood can be grilled or served raw as in sashimi or sushi. Vegetables are pickled, simmered or deep-fried. Tempura, the method of deep-frying seafood and vegetables, became commonplace during the Edo Period (between 1603 – 1868) from the influence of Western and Chinese culture and a greater availability of cooking oil. Japanese cuisine is hugely popular world-wide and good sushi is highly sought after. 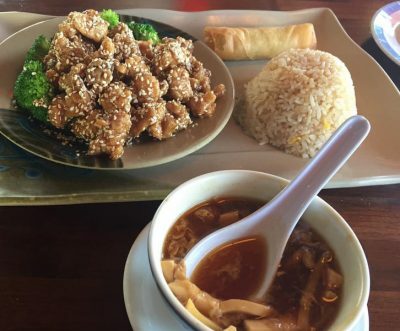 For more than 30 years the Tani family has served some of the finest sushi and Japanese food this side of the Pacific. The establishment is spacious and elegant with a large main dining area, a sushi bar and cocktail bar. Only sushi grade (high quality) fish from around the world, and the same markets that supply LA based restaurants, is served here. Every dish is diligently prepared to the highest standards. It’s a local favorite and a visitor’s delight. The culinary styles of Italy can claim roots as far back as the 4th century BCE (before the current era – almost 2,400 years ago) around the time of the fall of the Roman Empire. Italian cuisine began its evolution from this epoch and is now well known and well loved around the world. Styles are roughly divided between three regions of Italy: north, central and south. Risotto, a creamy rice dish, hails from the northern region. Middle Italy is known for its tortellini – stuffed pasta, and the south is home to spaghetti and pizza! All are synonymous with Italian cooking as a whole. This great old-world Italian and Pizza café recently relocated from Mammoth Lakes to Bishop, much to the delight of many here. They specialize in Sicilian pan pizza and thin crust pizza that melts in your mouth. The classic Italian dishes are freshly prepared and everything is better with the house specialty – garlic Gorgonzola cheese bread. Come hungry! Their slogan is “We Toss’em, They’re Awesome.” They do and they are. In addition to great pizza, the menu is packed full of delicious sandwiches, soups, salads and more. The self-serve salad bar is the go to when you need a load of fresh veg! It’s one of those places where you won’t be able to decide on just one favorite. An extensive menu with excellent pasta dishes, antipasti, soups, sandwiches and pizzas that are so delicious you’ll want to visit often to try them all. The booths are comfortable and most seats offer a stunning view of Mt. Tom and the Sierra crest. There’s a good selection of wines and beer, so sit back and relax. International is often applied to establishments that don’t quite fit into a specific regional or national cuisine. The menu will offer a variety of dishes each expertly prepared in a different style. It is also the essence of fusion food, which takes styles from different regions or nationalities and fuses them into one skillfully crafted dish. Fine dining in one of the most spectacular settings ever. Sunday brunch during summer is an outing you’ll remember forever. This is pure elegance at altitude. One of the newer restaurants in town and its reputation for excellent food and great service began on a high note and continues to grow. 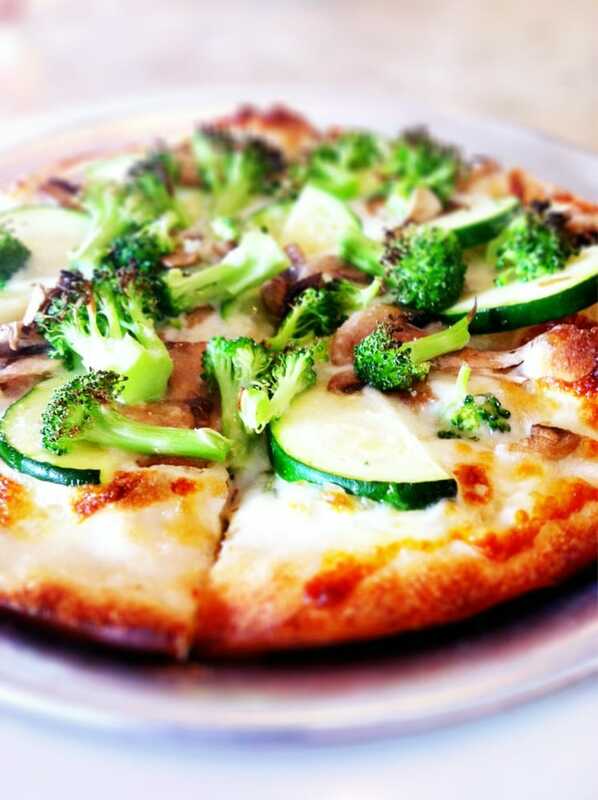 The owner prides himself on the freshest of ingredients with a ‘farm-to-table’ approach. The restaurant is intimate and this is definitely the spot for a romantic dinner date. Reservations are highly recommended. The Netherlands has been known for its cheese and butter for close on a thousand years and what better to put it on than bread? This seafaring nation, which relied predominantly on fishing and farming, particularly dairy farming, became an economic powerhouse in the 14th and 15th centuries and the little low-land country dominated international trade well into the 18th century. During that time the early ‘rustic’ cuisine saw a marked increase in the use of exotic foods such as sugar, spices, fruits and nuts. While the modern Dutch cuisine shows influences from the Far East and its neighbors in Europe, traditional Dutch cooking is still characterized by baking. This is the place that first put Bishop on the map. Sometimes imitated, never duplicated, Erick Schat’s Bakkery commands respect among the travelers of US Highway 395 that runs through town. Locals love it too. Breads of all sorts and sizes and a variety of delicious cakes and cookies are baked fresh daily. The trademark loaf is the ‘Sheepherder Bread’ introduced here in 1938. Sandwiches are made to order in the deli and it’s impossible to leave with an empty stomach or empty hands. Eat some here and take some home. What we call Chinese cuisine on this continent is in fact an Americanized version of very ancient traditions and cultures. Chinese food is as diverse as its regions and differences in cooking technique, ingredients, and the use of seasonings varies significantly. The art and practice of cooking was highly valued in Chinese society and an extensive study of the medicinal properties of food and nutrition dates back over 2,500 years. Chopsticks and spoons are the primary utensils used for eating as it is considered inappropriate for a knife to be used at the dining table. Rice is the major staple from the southern rice-farming region and noodles, made from wheat flour, are a staple of the northern region. Products and byproducts of the soybean are widely used in most Chinese cooking. American-style Chinese cuisine is now fast becoming a new food fad in China. This is a spacious, elegant restaurant with a relaxed atmosphere and a full bar. The menu has all the standard dishes we’ve come to expect from a good Chinese restaurant. There are sweet and sour dishes, hot and spicy, chow mein noodles, and regional inspirations such as Mongolian and Szechwan dishes. It’s good Chinese with good service in a lovely setting. The development of coffee culture, when friends and family would gather to socialize over coffee, dates back to the 14th century in Turkey. Coffeehouses were soon a feature of Eastern Mediterranean and Western European life and became social hubs to discuss art and politics. The explosion of coffee culture in the US is dominated by the espresso style of coffee, which originated in Italy. As with most major urban centers around the world, coffee culture in Bishop is robust. This local boutique roaster is a source of pride for the Bishop community and is a revered coffee brand in the Eastern Sierra. The coffee is sourced directly from farms in Nicaragua, Guatemala and El Salvador and roasted locally in Bishop. The coffeehouse serves these favorites – pour over, espresso, and a smooth and powerful cold brew coffee. The kitchen rustles up some great quiche, breakfast burritos, sandwiches and light meals. 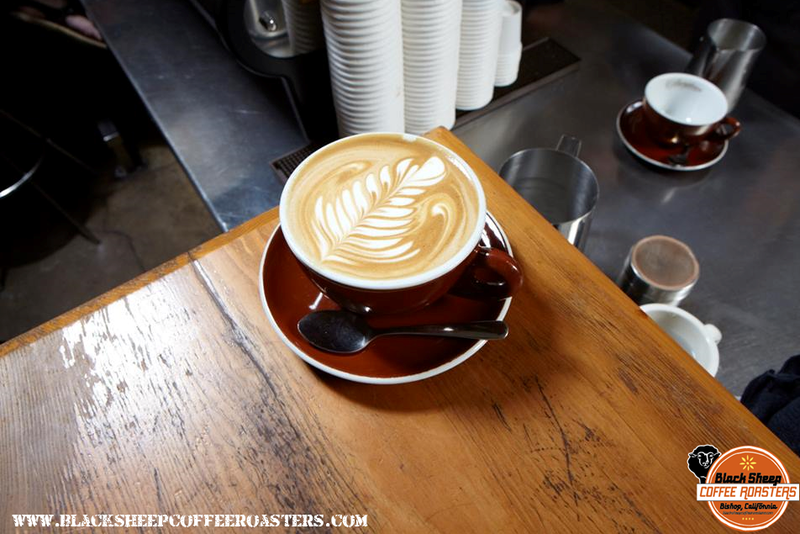 Specialty coffees are the hallmark of this coffeehouse. Smoothies, frappés, lattés and healthy grab-and-go sandwiches, wraps and freshly baked goodies will keep you on the go. Bishop’s newest café serves Black Sheep coffee and Five Mountains Organic Teas. A full espresso bar is complemented by excellent food made from the freshest and, whenever possible, organic ingredients. 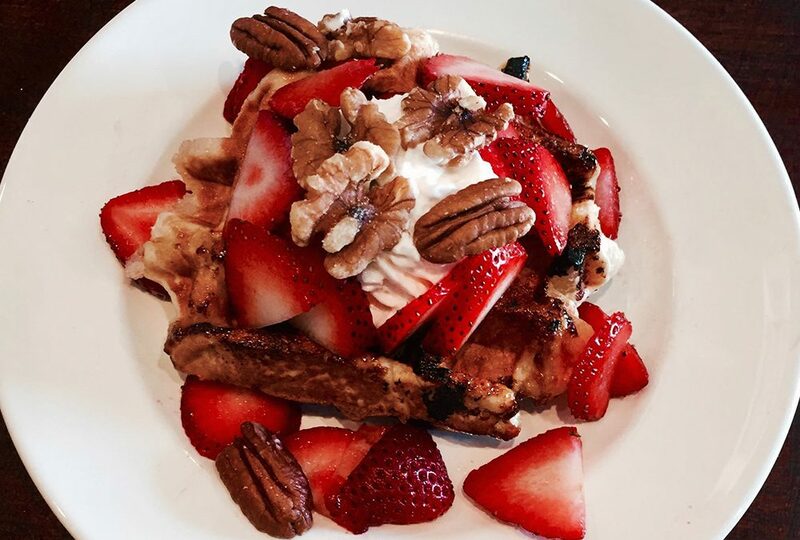 Their specialty is the Liège waffle, which is deliciously decadent. In less than a year it’s become a local favorite and No. 1 on Yelp in Bishop. American cuisine is as diverse as the country is vast. The American icon, the world over, is the ubiquitous burger and fries and there’s no shortage of great burgers in Bishop. A number of eateries are known for their excellent burgers as well as other American classics like steaks, BBQ, seafood and salads. Then there’s the new American, California cuisine, which promotes fresh and healthy with a fusion of flavors that draws on other culinary traditions. Serves the classic rotisserie chicken with that all-American side, coleslaw. Burgers come with options for cheese, sauces and toppings as do steaks and sandwiches. Salad choices are a great mix of classic and new age. This is a rustic establishment with outdoor seating and a small covered patio. The meat burgers are made with local grass-fed beef. There’s a homemade veggie burger and locally-grown, organic produce is served when possible. Fries are made from regular and sweet potatoes and Tater Tots are also on this menu. Oh, and another American masterpiece, the milkshake, rounds off this super-duper American meal. In a setting that’s almost second to none, the 19th Hole Bar & Grille is a wonderful spot for a good ol’ American breakfast or leisurely lunch. Stunning views, good food, lively bar, and perhaps a round of golf for good measure. It’s open to the public. Head out of town and up into the mountains for a hearty meal in a rugged rustic setting. Thursday through Sunday, mid May through mid October, the café serves steaks, burgers, pizzas, chili and more. The bar is open daily for drinks and tall tales of mountain life. The mountains are calling and breakfast is served – full, hot and hearty. Burgers are a hunger-busting option after a day in the mountains. In summer this is place to be on Friday and Saturday evenings for wood-fired pizza served al fresco. A smoky, sweet, tangy, and spicy taste of Texas. Not all rolled into one of course. Choose your flavor, choose your meat and choose your sidekick. Everything is homemade and served with southern hospitality. Beef jerky is about as American as it gets and this is about as good as it gets. Made from the best cuts of meat, flavored with quality ingredients and cooked fresh weekly. Then there are the smoked meats; hams, bacon, chops, steaks, turkey and sausages. It’s so good folks couldn’t wait to eat it, so they opened a deli. Now you can have it here and take some home. This fine microbrewery serves 10 of its own exquisitely crafted beers on tap. This establishment has a relaxed, family-friendly atmosphere and, in addition to the craft brews, an excellent menu of lunch and dinner fare is made from scratch from quality ingredients, many of which are locally grown and sourced. Large portions at reasonable prices for breakfast, lunch and dinner. There’s a ‘lite eaters’ option too. High in the Bishop Creek canyon region this venue is open seasonally during the summer months. 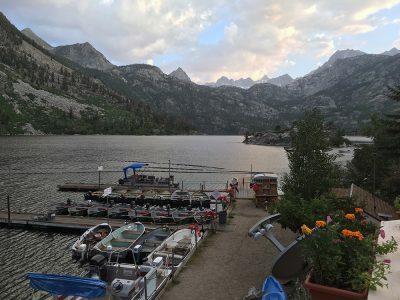 Every Friday, Saturday and Sunday from Memorial Day weekend through Labor Day weekend it’s where you go for the all-you-can-eat High Sierra Brunch. Open during the summer months The Grill at Rock Creek Lakes Resort smokes their own meats, brews and bottles their own BBQ sauce, bakes their own deserts and serves up a mean mountain breakfast. Here’s one place you’ll have to visit at least twice – a winter trip and a summer trip. During the winter months you can ski up to the lodge or get a chauffeured ride on a snowmobile to enjoy a four-course ‘prix fix’ menu served family style. It’s quite magical. 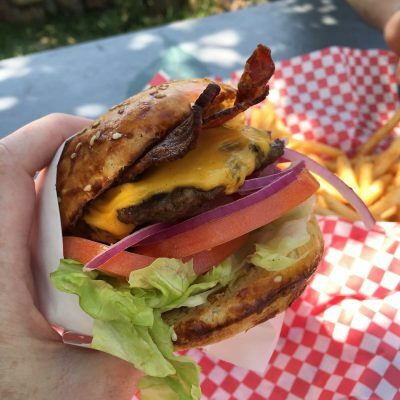 Breakfast and lunch is served in summer and a hunger-busting burger hits that spot after a day in the mountains. This quaint restaurant is known for their all-American breakfast, which is served all day. Their lunch menu offers a variety of sandwiches, soups and pasta. Beer and wine is also available to accompany your meal. 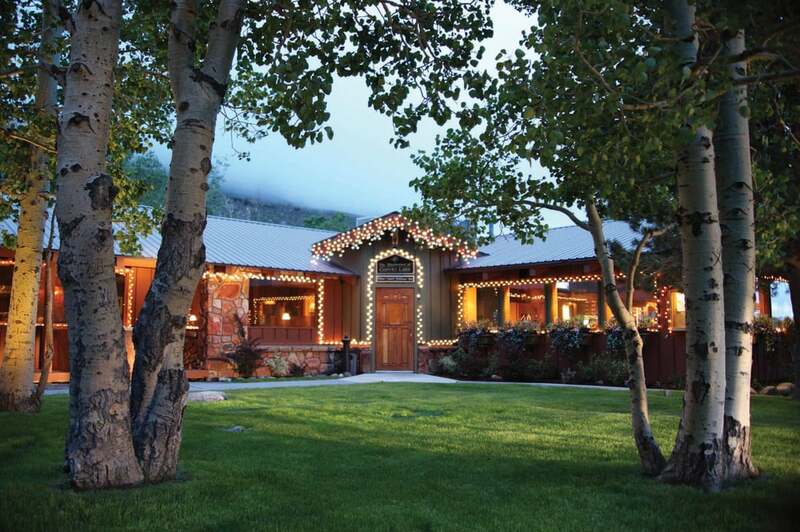 On the way up to Mammoth Lakes from Bishop is the rustic, mountain restaurant at Tom’s Place. It’s definitely the place for steaks and the prime rib is a specialty. Stop in for breakfast, lunch or dinner and take a seat inside or outside depending on the season and the weather. Plenty of options here. 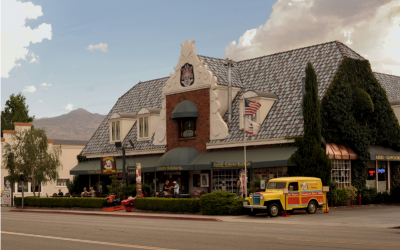 Dating back to 1924 this authentic country inn and restaurant has recently been remodeled. It’s a wonderful fine dining experience serving fine steaks and other fine American fare. Try lunch on the deck looking out toward the Sierra Nevada or sip a cocktail in the saloon. There are great choices for the whole family. Get a taste of the old-fashioned ice cream fountain, homemade pies and fine candies. Hot and cold sandwiches are available too. While you’re there check out the replica Old West main street museum. This is the ‘local’ bakery that produces fresh bread, bagels and croissants daily plus a wide assortment of cookies, pies, muffins, scones, cinnamon rolls … and all manner of delicious treats. The bakery includes a café where their artisan breads and bagels are also made into delicious breakfast items and lunch sandwiches. You can grab a cup of Black Sheep coffee here too. Open during the summer months this lovely little café perched above the docks at Lake Sabrina serves a full breakfast and lunch. It’s worth the drive up to the lake for the spectacular views, the delicious food, but most of all – for the homemade pies and ice cream. Where there’s an alley there’s bowling. 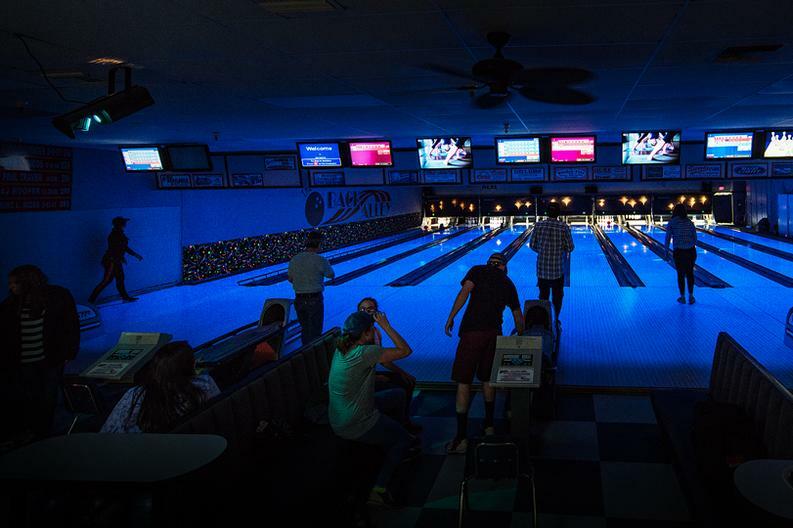 There’s league play, regular play and then there’s cosmic bowling on Saturday nights. Order a drink, fire up the jukebox, pull out the pool cues or grab the darts and play on. There are plenty of TVs to catch your favorite game too. Good drinks, good games, and good times. It’s worth repeating this establishment here. Live music performed by many of Bishop’s talented resident musicians and well-known and up-an-coming artists from further afield perform regularly at the brewery. Quality brews and bands! This is the lively locals bar that’s been serving up fun in bishop for over 50 years. Choose your tunes on the jukebox, or catch a DJ in action, or join in for some Karaoke. It’s usually rockin’ at Rusty’s. 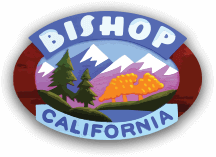 In addition to the dozens of unique independent establishments listed above, Bishop also has a great selection of known name franchise restaurants that feature convenient drive-thru service. 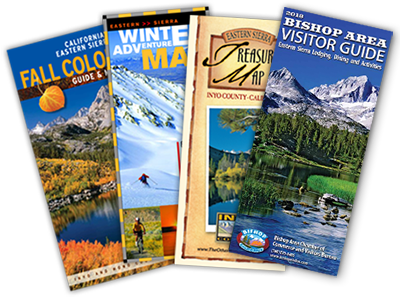 As always we recommend you stop in at the Bishop Visitors Center at 690 N Main Street for maps and info on what to do, where to eat, and where to stay in Bishop and surrounds.